In many cultures, a swollen belly is a sign of delicious food with good company. If you’re not quick to help yourself to seconds or thirds, your host will either insist on plating more food for you, or may even feel deeply offended. The same rules don’t, however, apply to your pet’s world. No matter how much you believe that the way to someone’s heart is through their stomach (and no matter how much those puppy or big kitten eyes would agree), a swollen belly for Bruno does not make a happy pet. GDV, or Gastric Dilatation-Volvulus, is a life-threatening condition that primarily affects large, deep-chested dogs and some cats. Commonly called bloat or torsion, this condition occurs when your pet’s stomach fills with gas, food, or fluid. The stomach expands against other organs and can result in a lack of blood flow to the heart or stomach lining, a tear in the stomach wall, and difficulty breathing. Sometimes, the stomach will even rotate or twist: a condition called gastric dilatation volvulus, or GDV. 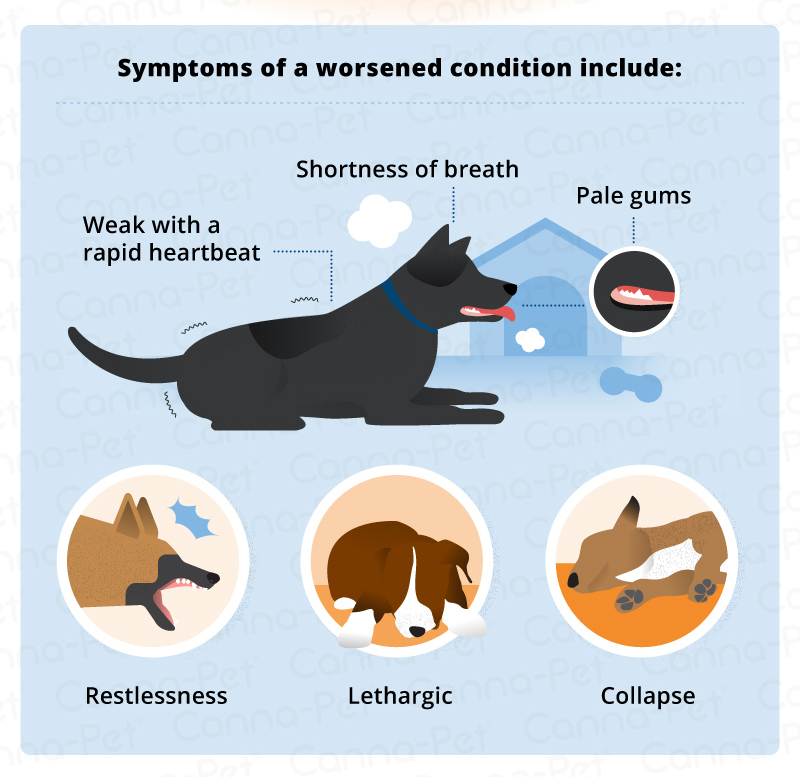 When this occurs, the dog or cat is unable to belch or vomit to rid himself of excess air, blood flow to the heart can become impeded, and blood pressure may drop, all of which can send the animal into shock—even death. The exact cause of gastric torsion in dogs is unknown. The risk factors are higher for canine bloat symptoms if you dog has a first-relative that suffered from Gastric Dilatation-Volvulus (GDV). If you suspect your pet has signs of bloat, it’s important to get him to your veterinarian right away, as delayed treatment can lead to death. There are things you can do to prevent bloat and enhance your your dog’s life experience. It has been argued that the dog’s size and age are the most important things to consider when assessing bloat risk. Data suggests that the risk of canine bloat increases by 20% for large breeds after age 5 and 20% for giant breeds after age 3. After age 7, the risk factors increases significantly for any breed. As your dog enters middle age or becomes a senior, it’s important to watch for symptoms of canine bloat. Although all dogs are susceptible, bloat occurs more often in deep-chested, large breeds, including the: Afghan Hound, Akita, Alaskan Malamute, Bernese Mountain Dog, Bloodhound, Boxer, Doberman, Great Dane, Great Pyrenees, German Shepherd, Golden Retriever, Irish Setter, Irish Wolfhound, Kuvasz, Labrador Retriever, Newfoundland, Standard Poodle, Rottweiler, St. Bernard, and Weimaraner. For more specifics on your pet, visit our Breed Guide. In association with GDV, splenic torsion, or the twisting of the spleen, may follow. Although it is an abnormality and, therefore, rare, splenic torsion can occur suddenly or gradually over time. Splenic torsion can occur following GDV as well as with excessive exercise, rolling, and retching. Nervousness and anxiety have also been shown to increase the risk for GDV in cats. As with all possible conditions or threats, proper care and attention can help your pet live his longest, fullest life. If chicken soup is good for the soul, love is certainly your pet’s best medicine!